Caped crusaders, masked defenders; since the surprise success of X Men(2000), Hollywood has been heaving with superheroes as comic books are scoured and franchises such as Batman are revived for an assault on the silver screen. With the impending release of Bollywood’s Ra. One, superheroes appear to be catching on in B-town. But is the industry suited to the lofty production costs and sensationalism of superhero flicks? Is villain-bashing in spandex an Indian audience’s cup of tea? The rapturous reception Wolverine actor Hugh Jackman received on a recent visit to Mumbai hinted that Hollywood superheroes had infiltrated the Indian market. It is clear the younger generation of Indians is taken with the visual feasts of superhero films and the protagonists’ portrayal as upholders of moral justice makes them positive role models. Actor Shah Rukh’s decision to act in Ra. one supports this. “I am only doing this for my kids, Aryan and Suhana”, he said. SRK, though, was quick to distance Indian superheroes from their Hollywood counterparts, “the stories will always be set in an Indian context and the audiences have grown up with different concepts and stories”. Both SRK and Hrithik Roshan, star of superhero flick Krrish, reported there was no Hollywood influence in their superhero characters. Roshan said, “Indians have grown up with tales of superheroes like Hanuman so, while Krrish may have all the powers of a typical western superhero, he was not inspired by any Hollywood superhero”. Apparently little influence, but the box office success of Hollywood superheroes, equating to both The Dark Knight and Spiderman 3 residing amongst the world’s top twenty highest-grossing films of all time, has certainly been emulated in Bollywood. Bollywood offering Krrish grossed Rs 150 crore, making it the second highest Bollywood earner in 2006, while in 2010 Robot(Enthiran) smashed the Bollywood grossing record, making Rs 375 crore worldwide. It is clearly a lucrative genre, but Robot’s reported production cost of over Rs 150 crores represents a potentially risky investment. Star of up-coming superhero film, Doga, Kunal Kapoor joked that playing a superhero, “I will finally know what it feels like to wear my underwear over my pants.” This perception of superheroes is born out of the comic books many characters are taken from. With a relatively low comic book readership in India, however, inspiration appears taken from elsewhere. 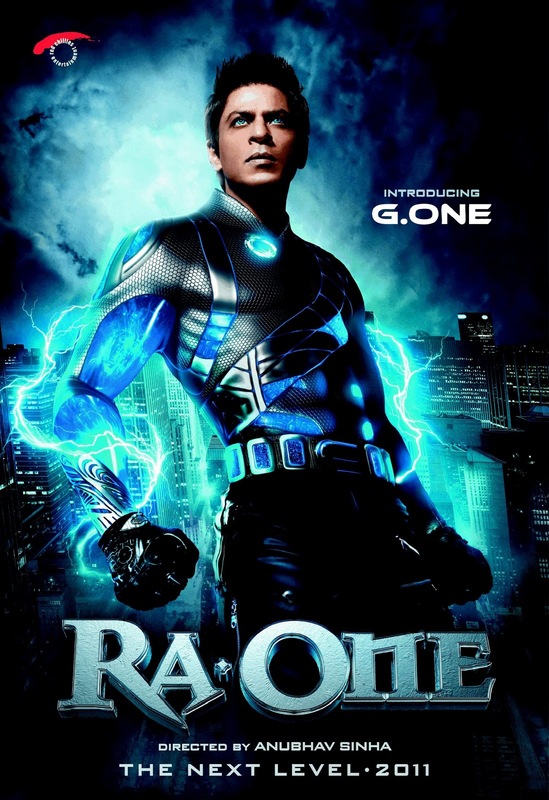 Recently, it was reported that actor Akshay Kumar would be playing a superhero inspired by Indian deity Hanuman while the title Ra.One is taken from the mythological antagonist ‘Rawana’ who appears in the Sanskrit epic Ramayana. Bollywood superheroes are swooping in, and judging by reports, they will be loyal to India.